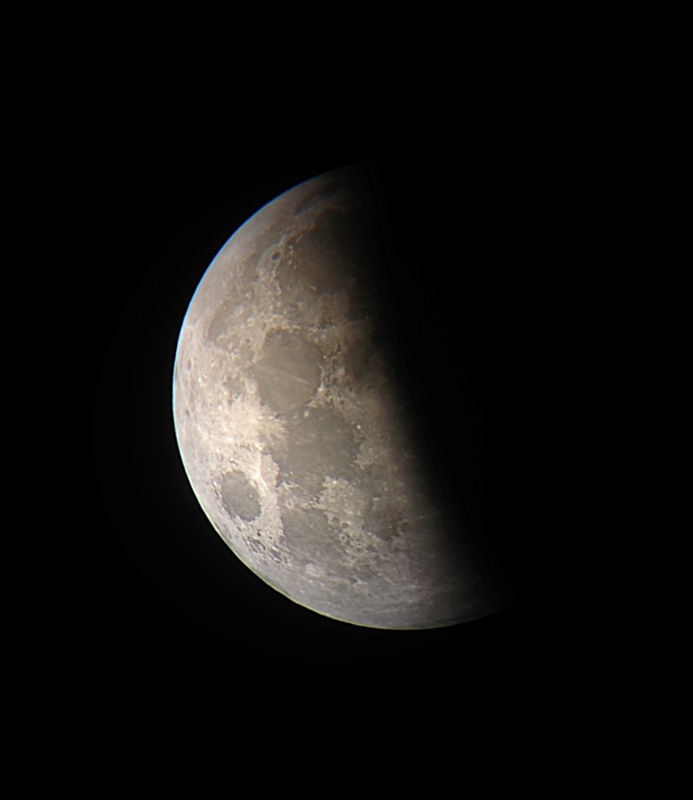 Using the default iPhone camera in video mode, and a DIY digiscoping mount, I was able to take short video clips of the moon during the lunar eclipse on October 8, 2014. 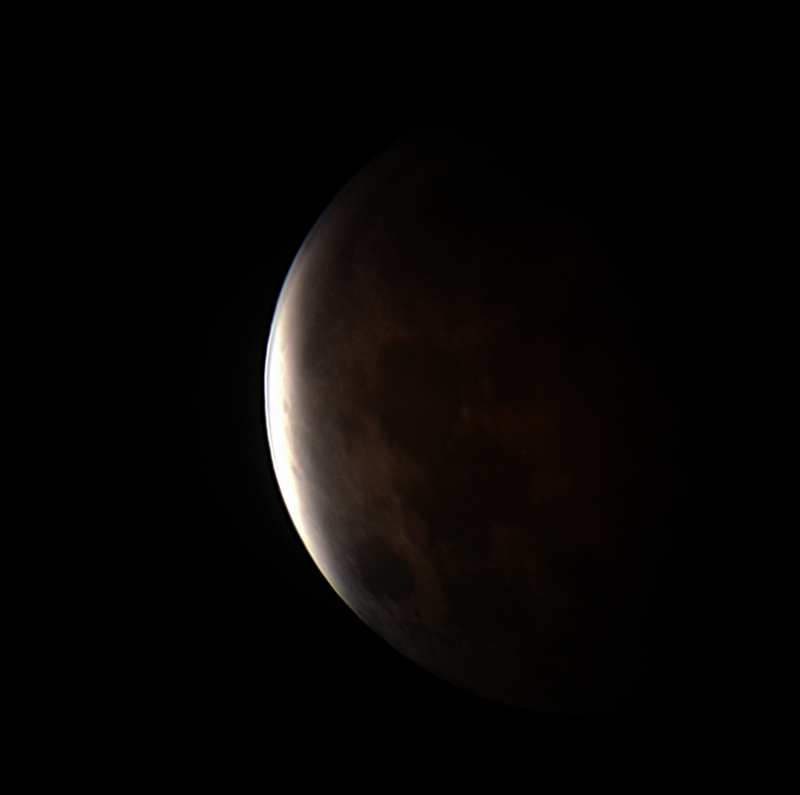 I then converted the video to AVI and stacked the frames in Registax to reduce the noise and bring out the details. 7 second video clip from iPhone default camera converted to AVI and stacked in Registax. High pass layer in Photoshop. Digiscoping on 60mm refractor. 7 second video clip from iPhone default camera converted to AVI and stacked in Registax. Digiscoping on 60mm refractor. Same photo as above with Snapseed HDR to bring out darker spots - very cool look!